Serving the Colorado Front Range and Mountains, Eastern Colorado, Western Kansas and Western Nebraska regions, Buckeye Welding Supply Company offers a wide selection of welding supplies, equipment and training. If you can’t make it to one of our three locations, WE CAN COME TO YOU with our “store on wheels” delivery service! If we don’t have the welding supplies or equipment you need, WE’LL FIND A WAY TO GET IT! 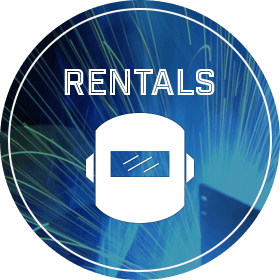 Our rentals include welding equipment, as well as training to use equipment properly. 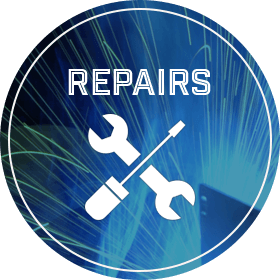 We can repair anything from your torch and regulator to your welder and plasma cutter. 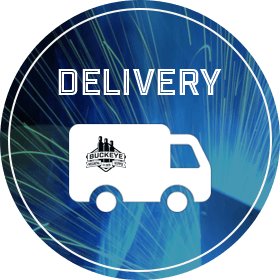 Our delivery trucks are stocked with gas cylinders, welding supplies and much more. Need welding equipment right now? Browse our map of certified resellers to see where you can pick up Buckeye Welding Supply equipment in your area.